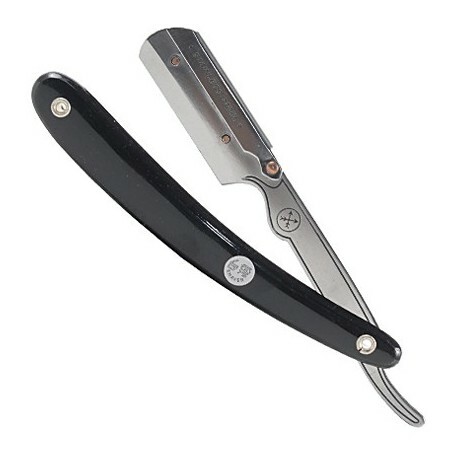 Parker SRB Barber Straight Razor Black. Parker barber straight razors are beautifully design. Razors have been design to allow easily allow barbers to change the blade between customers. The round exposure at the end of the blade compartment helps to minimize cuts. Snap/Lock blade holder along with inserts ensures a safe blade swoop. 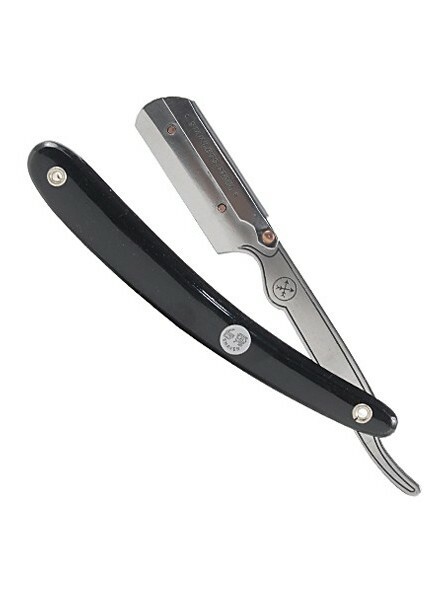 Parker barber razors accept any double edge blade or half double edge blade available in the market. SRB model is made with stainless steel and offered with a black plastic handle.